Small Size Safety Pin Name Tag Clips! The small size safety pin name tag clips come with small plastic bases. An adhesive backing can be found at the back of the plastic bases for easy attachment. 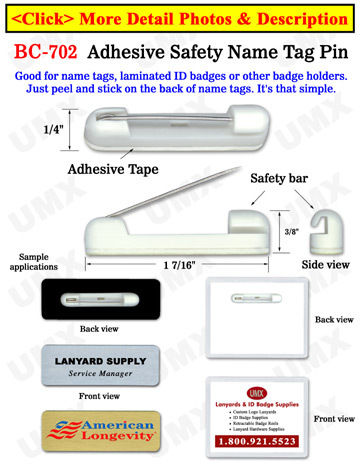 The safety pin name tag clips can be easily attached to very small name tags or ID tags.